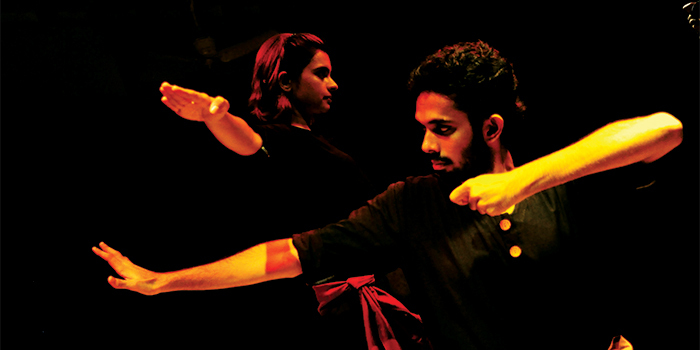 Home Tags Posts tagged with "Paramapadham"
A GRIPPING duet inspired by Indian games like Paramapadham, Pallanguzhi, Pacheesi and Kabaddi, Re:play, by Visual Respiration, is an 80-minute journey that weaves in Indian folklore, mythology and contemporary events. Expect an immersion of sounds, rhythms, structures and colours that will take you down memory lane. a�?I grew up playing Hop Scotch, Snakes and Ladders, Kabaddi and Ludo, but had no idea that these games had interesting stories and significance,a�? says Aruna Ganesh Ram, the director and designer, who is also an alumni of The Royal Central School of Speech and Drama, London. But recently, she read that such games were slowly disappearing and quickly looked for the digital version. a�?I started researching these games and soon, I had so many interesting bits of information, I began weaving into a performance,a�? Ram tells us. Re:play explores how these games have inspired people and situations, by literally playing with the audience. a�?It is about the performers and audience getting into a relationship with one another. From passive spectator to co-creator, the audience goes through an experience of sharing, creating and deciding,a�? Ram tells us. Traditional games have been used as a canvas so expect marbles, Cowrie shells and metal dice. a�?Their sounds, rhythms, patterns and colours inspired me in different ways and shaped this performance,a�? Ram explains, assuring us that it will trigger off a sense of nostalgia in the audience. a�?My aim was to construct an environment where the audience is not passive. The challenge was to facilitate an intimate environment of sharing and togetherness and we have devised simple, yet unique ways in which audience members will get a touch and feel of this performance,a�? she hints.